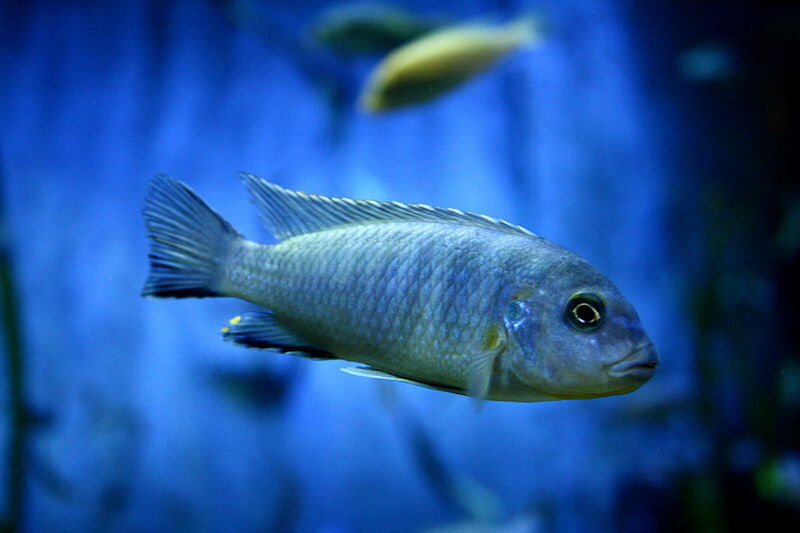 The decision to set up an aquarium in your home shouldn’t be taken lightly. There are positives and negatives to keeping fish, and those who choose to pursue the hobby for years or decades have decided the positives are well worth it. On the negative side, there are some tough lessons to be learned on the path from newbie to experienced fish keeper. Many of these lessons can cause people to throw in the towel after only a few weeks. There are all kinds of things you can do wrong when you are caring for a tropical aquarium, but many of them can be avoided by doing a little research before making a decision. It’s only natural to want to go out and get a tank and fill it with wonderful fish as quickly as possible, but sometimes it is worth it to put on the brakes and think things through. Choosing the tank itself is one of the most important decisions. Making a bad choice here can doom a new fish keeper from the start without them even knowing it. 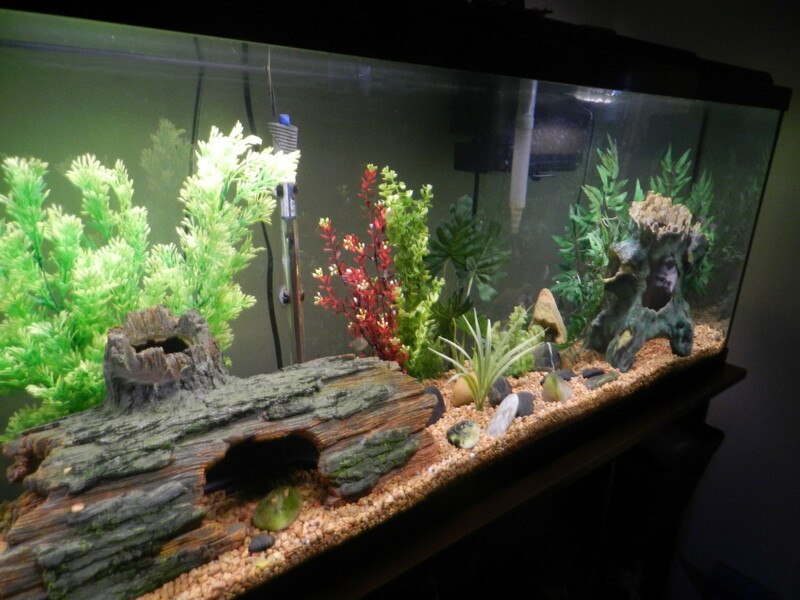 The intent of this article is to help you think through the process of choosing your first aquarium. Fish tanks come in all shapes and sizes, from very small tanks of five gallons or less, to huge, glass aquariums 150 gallons or even bigger. Somewhere within that range is the perfect tank for you. That means, when considering the water, the weight of the tank itself, the gravel and decorations, a full ten-gallon tank will weigh somewhere around 100 pounds. A full 55-gallon tank will weigh around 550-600 pounds, depending on what you have in it. The point is to think about where you intend to put your aquarium, and make sure you choose a spot that can safely hold it. I also recommend a dedicated aquarium stand for any tank ten gallons or larger, so factor that into the weight as well. That’s not to say you can’t get away with placing an aquarium on something else, but you’d better be darned sure it can hold the tank. If you use a stand made especially for the aquarium you may sleep a little better at night. I know I would. Think carefully if you intend to put a large tank above the ground floor. Are you confident the floor can hold the weight? In addition to weight, think about the floor or carpet beneath the tank, and how much you (or someone else in your household) will care if water drips on it. Because that’s going to happen, no matter how careful you are. In pondering these things, you may decide a tank above a certain size is out of the question for your house. Or, you may get excited when you realize you can have 240-gallon aquarium in your basement. (If you just realized that I'm pretty jealous.) Just be sure to think it through, either way. Choose a tank you like and stock it with appropriate fish. Using this approach you’ll choose an aquarium of a size and shape you think will look good in the specific location you’ve chosen. This is a good way to go if you have a general interest in fish keeping and want to enjoy some of the aesthetic benefits of owning an aquarium. There are no wrong answers here, and you can look at your fish tank as another decoration in your home. You then need to be sure to only stock fish that are appropriate for the tank you’ve chosen. Choose an aquarium based on the fish you'd like to stock. 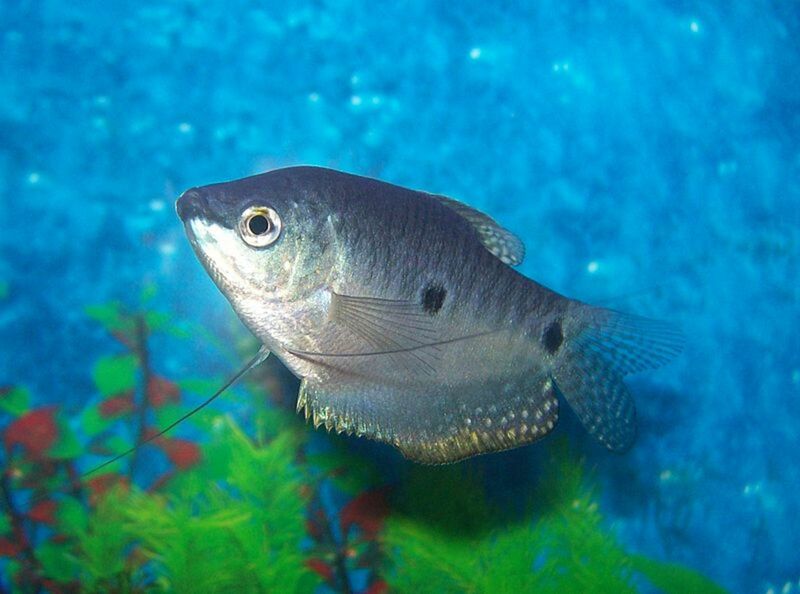 You may be interested in keeping a certain fish, such as angelfish, or type of fish, such as African cichlids. If this is the case you need to choose your tank based on the fish you’d like to stock. 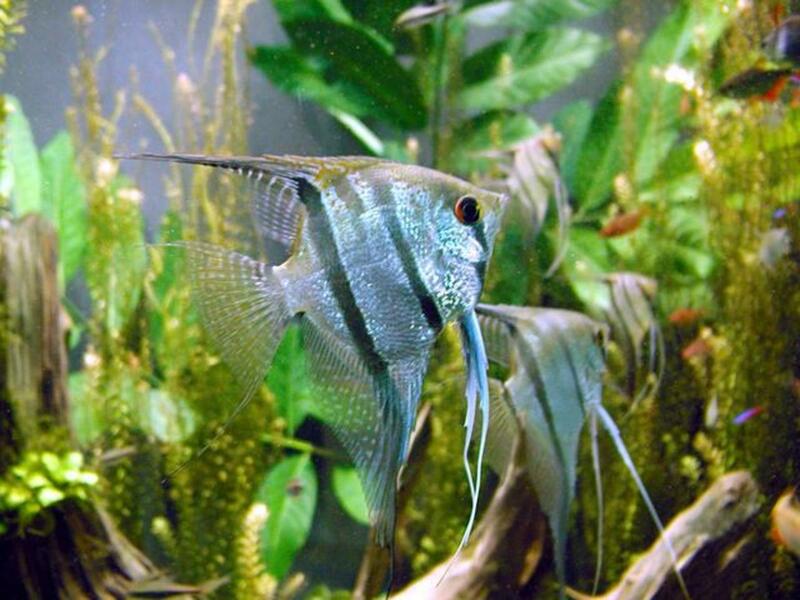 For example, freshwater angelfish can grow much larger than most people realize. 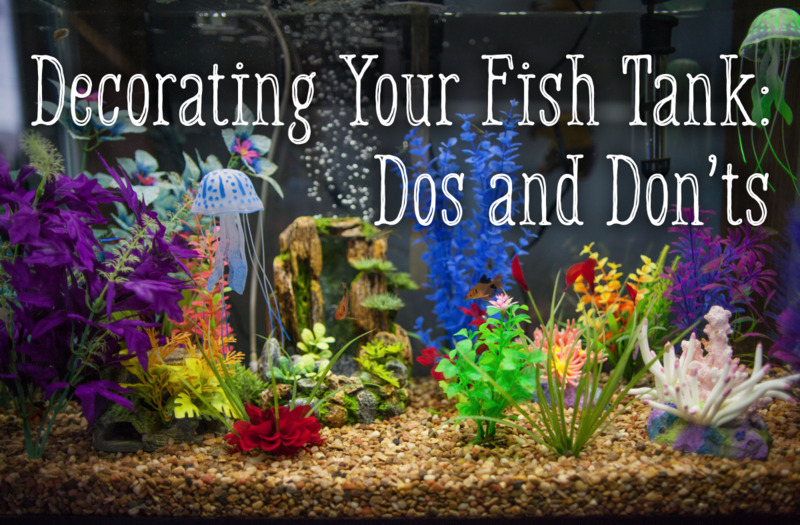 A 10-gallon tank is okay for many fish, but simply isn’t big enough for angels. 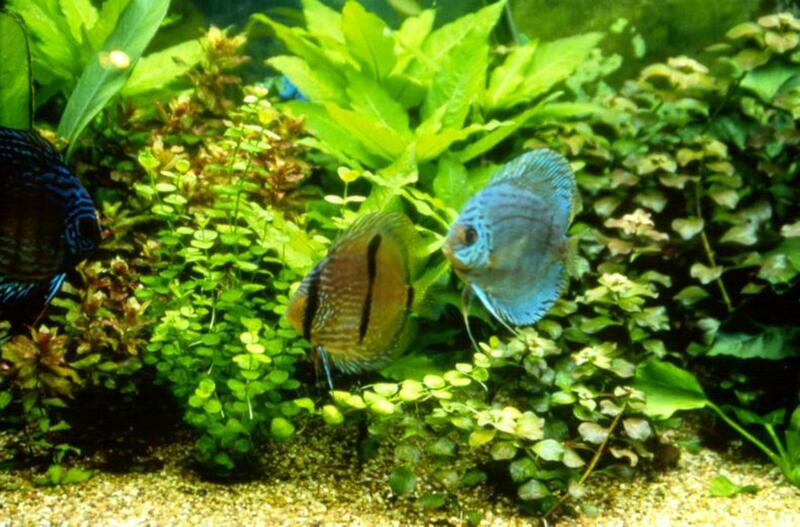 If you want angelfish you’re smart to go with a tank 30 gallons or bigger. Choosing the right tank for your fish means you’re giving yourself, and them, a better shot a success. Both of the approaches outlined above are great ways to end up with a beautiful tank filled with healthy, happy fish. The key, in both cases, is research. In the first method, you’ll need to research which fish are appropriate for your tank once you get it up and running, so you can make smart stocking choices. 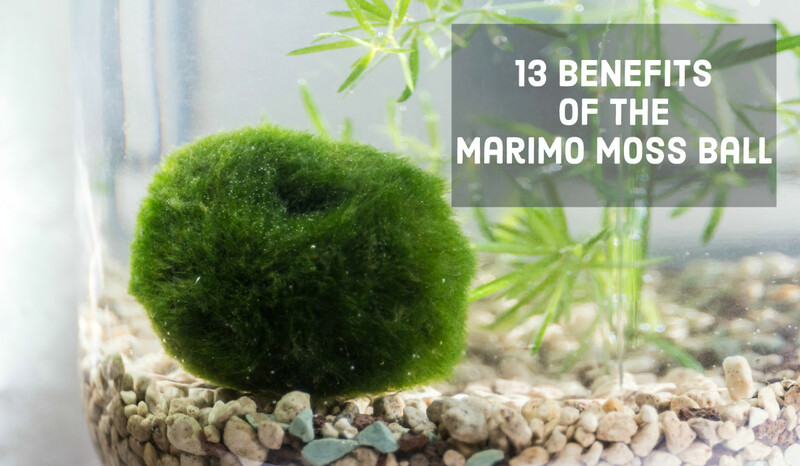 In the second method, you'll need to do your research before you even get your tank, so you make sure you have an appropriate home for the fish you want to keep. Research and planning are two habits most successful aquarium owners have in common. Unfortunately, many newbies put the cart before the horse and end up with fish in tanks that aren’t right for their needs. This is what we want to avoid, and a little foresight goes a long way here. There are many reasons a fish may die too soon, and the more problems you can avoid with simple planning the better. There are few more things to think about when it comes to the exact placement of a fish tank in your home. These, too, may influence your decision on which tank you decide to get. As you probably realized from the weights listed earlier in this article, fish tanks aren’t exactly easy to move once you set them up. Again, a little planning is important when choosing the right spot. You’ll want to avoid direct sunlight. Sunlight will encourage algae growth, and may warm the water too much during the heat of the day. Keep your tank away from windows or anywhere it could be hit by sunlight. Avoid placing your new tank near a heater, as this may affect water temperature. Place your tank near an electrical outlet. You’ll need power for the filter, heater and lighting, and you probably don’t want cords running all over the room. Consider the location of your water source. I recommend using a gravel vac to make life easier, but even the longer models will only reach fifty feet to so. The alternative is carrying sloshing buckets around your house, so the distance to your water supply should be taken into consideration. Think twice before placing your tank near a television. I once had a 55-gallon tank next to a 42-inch TV. Needless to say, the tank was very distracting, and I lost the plot of more than a few movies because I was watching the fish instead. In hindsight, I wouldn’t do that again. 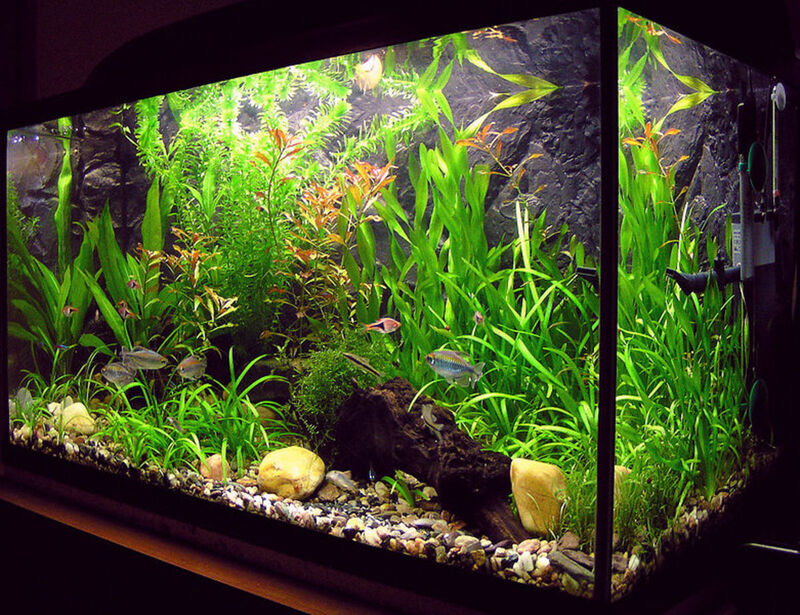 Along those lines, large fish tanks really tend to grab the attention of people in the room. That can be good in many cases, but in rooms where the tank really shouldn’t be the focus you may want to reconsider. You’ll have to decide where those rooms are, and if it matters to you or not. The advice in this article may sound overly strict, but the intent is to save you from the hassle and heartache of losing fish, or having to give up on fish keeping altogether. I have made so many mistakes over the years, and a lot of them could have been avoided. In my articles I try to pass on what I've learned, so you might avoid the same errors I made. 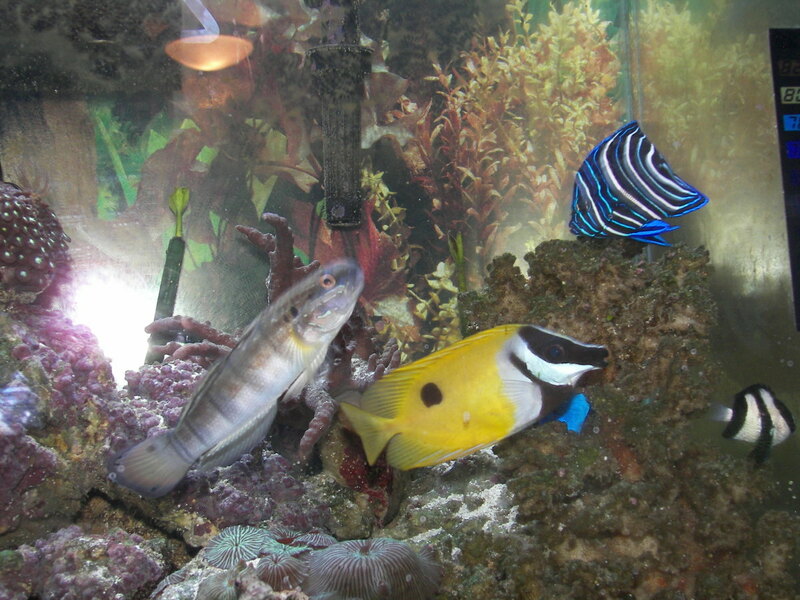 Keeping a beautiful aquarium in your home is very rewarding, and well worth the struggle when you get it right. Keep on learning, and don’t give up. Which method will you use? 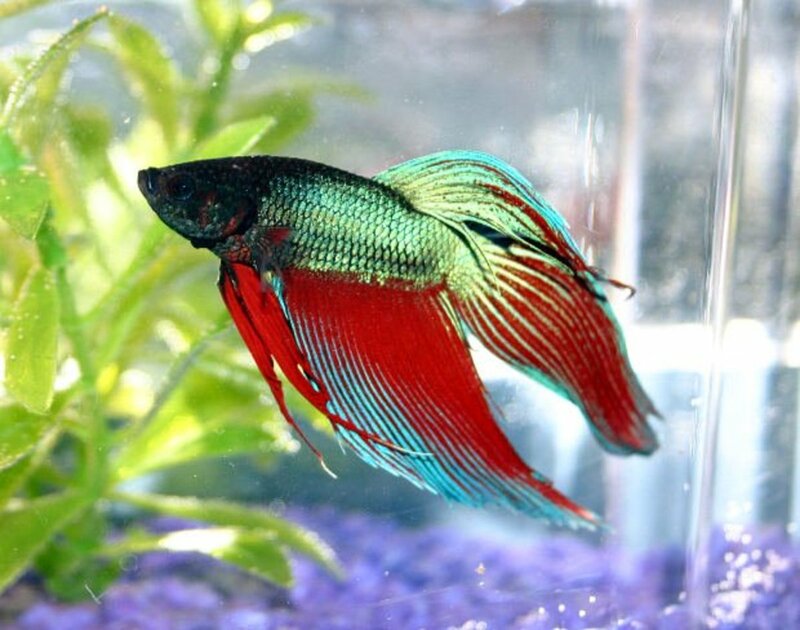 Choose a tank I like and research appropriate fish. Decide which fish I want to keep and research the appropriate tank. The tank I'll get is dictated by the limitations of my location.